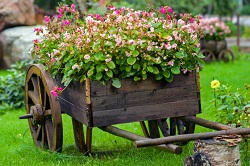 Many people find gardening a really arduous and difficult task that takes hours of precious time away from their summer. Not to mention the fact that our unreliable UK climate leaves little time to spend in the outdoors anyway, and for some people the hours spent gardening are simply a waste of their precious summer time. Well if you would rather spend your hours doing more leisurely activities then call London Gardeners and our outstanding gardening professionals will come and deliver all of your gardening maintenance services with a friendly smile and a professional touch. Our gardening experts are proficient in all forms of gardening care services from grass cutting, planting, trimming and hedging, leaf collection, weed control, garden waste removal and much, much more. There is simply nothing that our experienced team cannot deliver, and most importantly, no job is too big or too small so simply pick up the phone and call 020 8434 7256 today for a free quotation, and discuss all of your options and requirements. What is great about our London garden maintenance services is that we can offer you an extremely flexible and professional regular service to keep on top of all of the gardening work. If you need to cancel, amend or change a booking you can do so easily by communicating with our friendly team, and as our wide range of customers will attest to, our prices are extremely affordable so we can fit into anyone’s budget. Save yourself hours of back breaking hard work and call us to do all of your gardening whether it is simply cutting the nature strip or doing some lawn restoration and repair. With all of our experience we have picked up a few handy timesaving tricks so save you money and get you great results in your garden along with marvellous value for money. When it comes to planting work, our reliable gardeners are the experts in garden design so you’d be able to gain some advice by discussing your plans with us. We know exactly what will look great in your garden to make the most of the space at your disposal. If you discuss your requirements with us then we can make sure that we create a garden that is perfectly tailored to your needs whether that is for social BBQ’s or space for the children to play. Simply pick up the phone and call 020 8434 7256 and our gardening professionals will be delighted to take your call. We pride ourselves and offering superb value for money, and in return our customers always recommend us to their friends and relatives. It is a business model that is not common enough today, but with our gardening experts we want to make sure our customer is 100% happy with our work. Our London gardening experts always arrive on time, fully uniformed and with all of the tools that we will need for the job. You will be amazed at how quickly we can turn your garden around with one of our garden tidy-ups, so our garden maintenance work will take no time at all with just a regular visit. 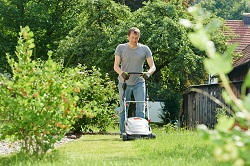 Remember, no job is too big or too small so even if you just need us to mow the lawn we are extremely quick and skilful at grass cutting to leave you with a luscious, healthy lawn that will last. So if you haven’t got green fingers, call London Gardeners on 020 8434 7256 and our gardening team will be only too happy to look after all of your needs.